New York City System EWG’s drinking water quality report shows results of tests conducted by the water utility and provided to the Environmental Working Group by the New York Department of Health – Bureau of Public Water Supply Protection, as well as information from the U.S. EPA Enforcement and Compliance History database (ECHO). For the latest quarter assessed by the EPA (January to March 2017), tap water provided by this water utility was in violation of federal health-based drinking water standards. 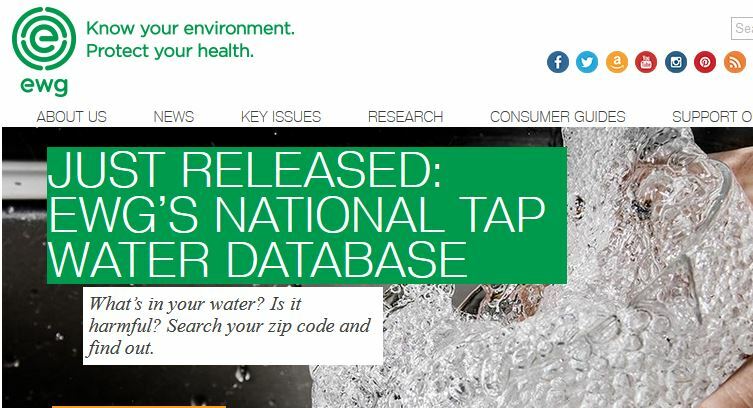 Use this database to get a jump on knowing what is in your tap water. Just enter your ZIP CODE and find the known problems in your area. This link has been added to the Earth Network homepage under “A Few Good Sources”.